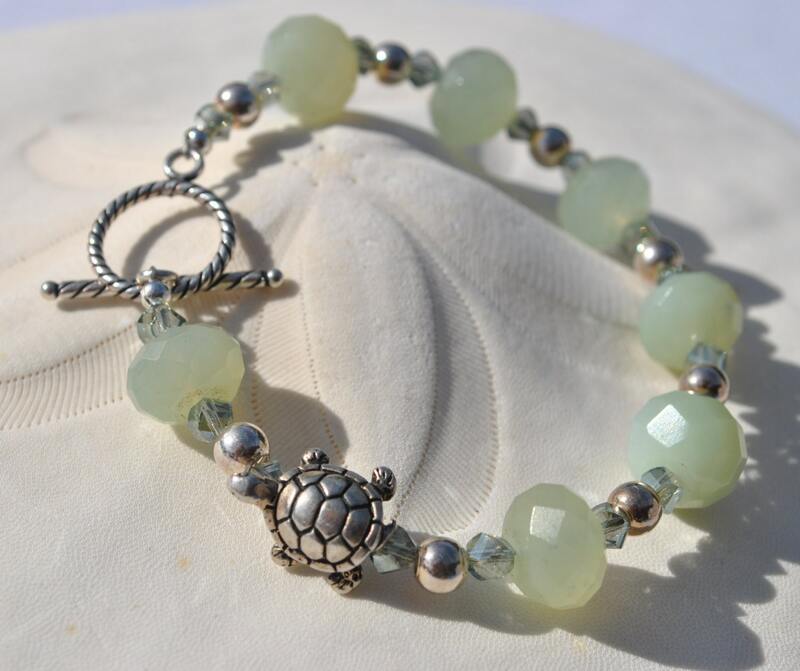 This cute bracelet set is for turtle lovers! 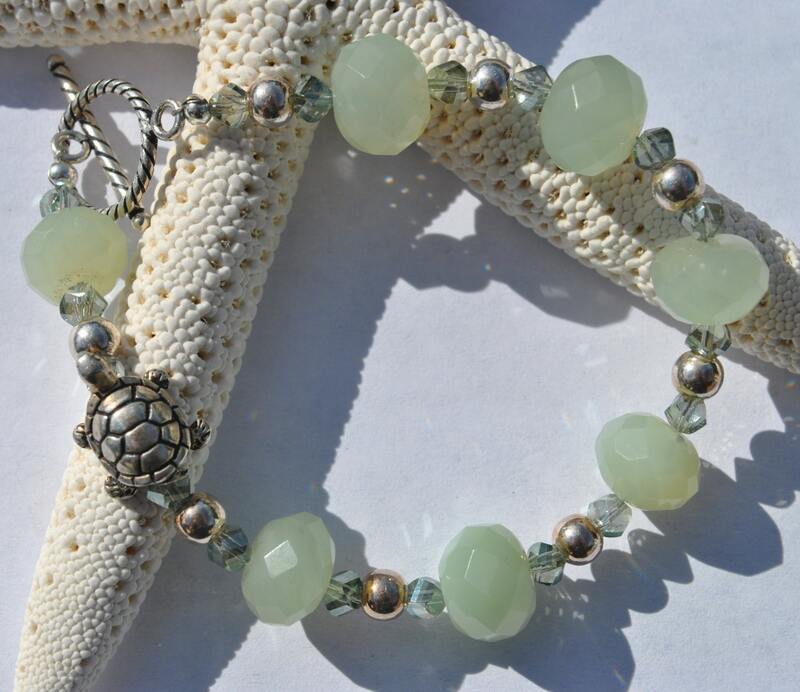 It is created with soft green new jade stone beads, sterling silver round beads, green crystals and a darling 3D pewter turtle. 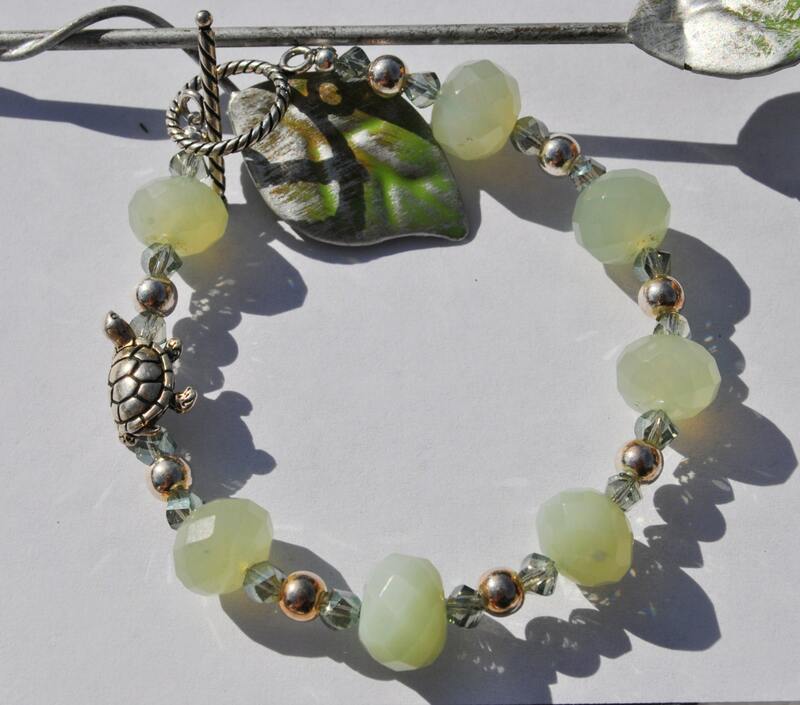 It is completed with a round sterling silver toggle clasp. 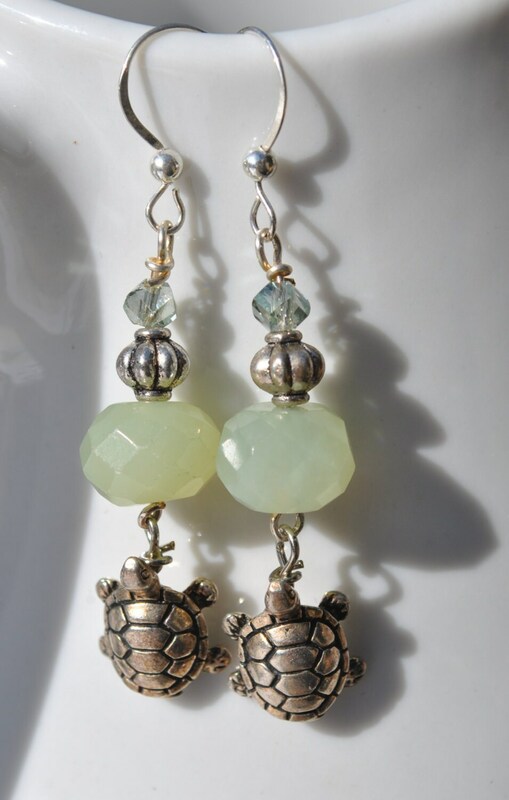 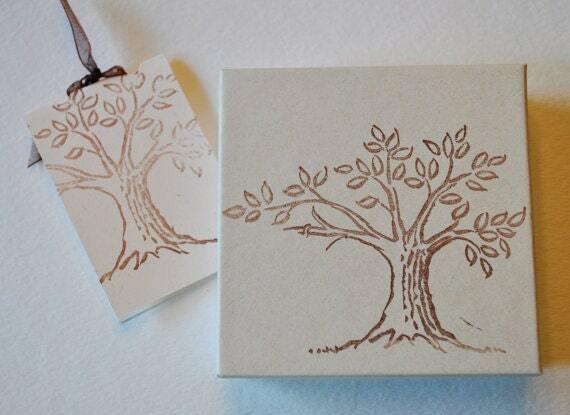 Matching turtle earrings are included.